Are sunflower seeds nuts? Our assumption is that most people consider sunflower seeds to be seeds because their name holds the word “seed” in it. However, often things are not as they are named. For example, the peanut is not a nut but a legume. So, is the sunflower seed a seed, a nut, or something different? Let’s find out. 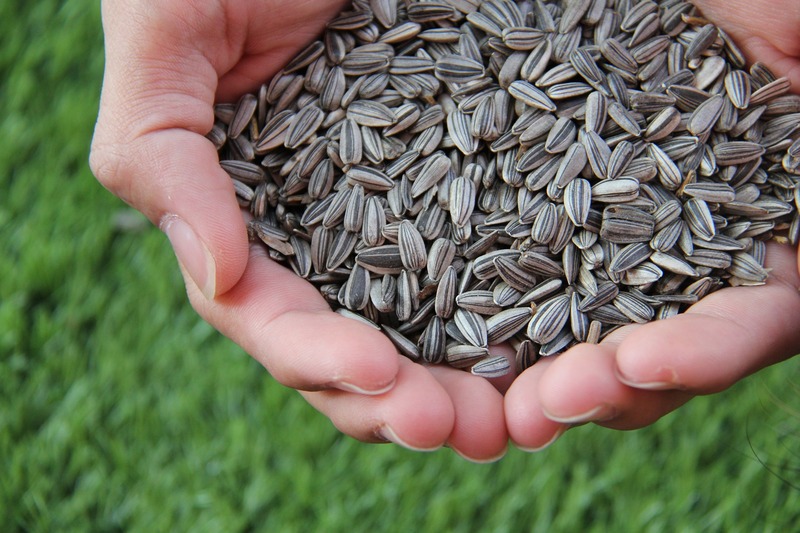 The sunflower seed consists of the seed and inside that seed is the common edible portion known as the kernel or heart. The sunflower seed is a seed from the sunflower and is not considered a nut or a legume. You can see in the bottom photo that the seeds are housed in the center of sunflower from where the sunflower grows the yellow flowers. The seeds are typically harvested in the fall when they have matured and dried. The back of the sunflower head will have turned brown and the petals will have dropped or dried on the plant. While sunflower seeds are not a nuts, it is still possible to be allergic to seeds. However, seed allergies are mush less common than nut or peanut allergies. The most common seed allergies come from sesame, sunflower, and poppy seeds. 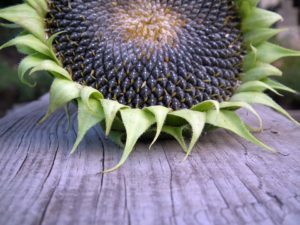 According to thehealthline.com, common symptoms of sunflower seed allergies are upset stomach, anaphylaxis, eczema, itchy mouth, and vomiting. Note that just because you are allergic to a tree nut (almonds, cashews, walnuts, etc.) does not mean you will also be allergic to a seed. For example, there are many people who can enjoy sunflower seed butter but cannot go near peanut butter. Conversely, you may only be allergic to seeds and not nuts. 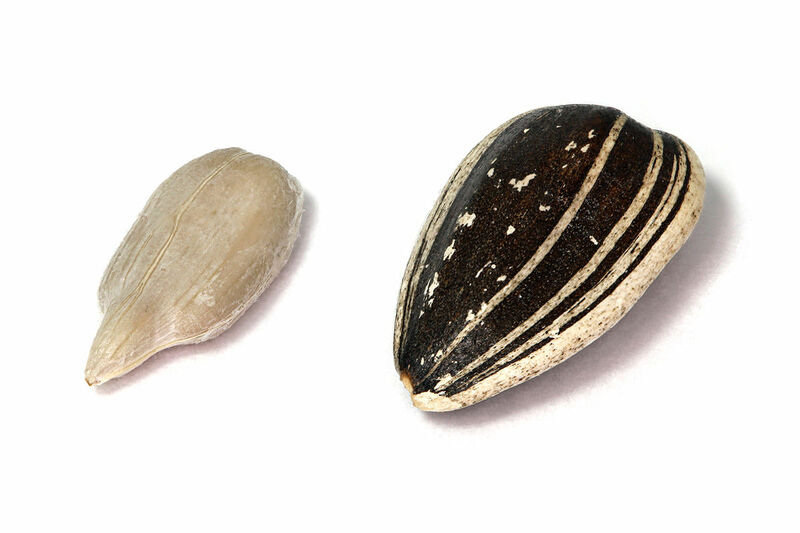 Each nut or seed should be looked at on individual basis to determine if an allergic reaction exists.